My camera actually got working inside the gallery, before it came outside, and I said I wanted to take pictures of a nice view from the balcony. 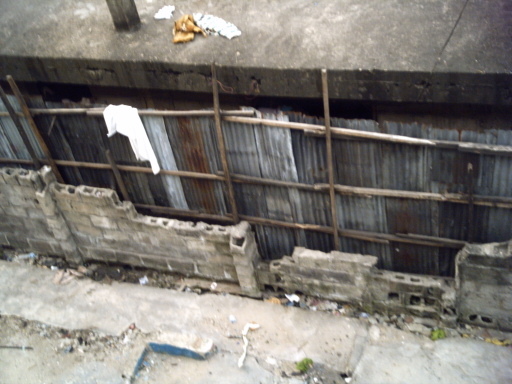 This is what I took, and it isn’t so pleasant, but it is part of Lagos. The building on the other side of the dead fence (forgive my English), which is uncompleted is the popular mama put joint on King George V road. A pity I didn’t go in there to eat. We were in a hurry to return to the mainland. That was when the kids’ action began.